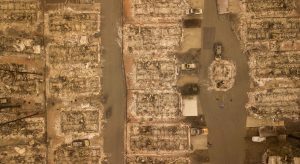 Death Count From Paradise Fire Dropped by One! Home » News » Local News » Death Count From Paradise Fire Dropped by One! The Butte County Sheriff has dropped the dead count from the Paradise Campfire from 86 to 85. The change reported yesterday was the result of what was believed to be remains from two different people turned out to be one after testing and identification. The sheriff is still listing three missing, months after the Paradise fire disaster. One of the missing was identified by Sacramento Police as John Demianew was arrested on an outstanding warrant and is in Sacramento County Jail. He was arrested on Wednesday. So far 70 of the 85 listed as dead, have been identified.